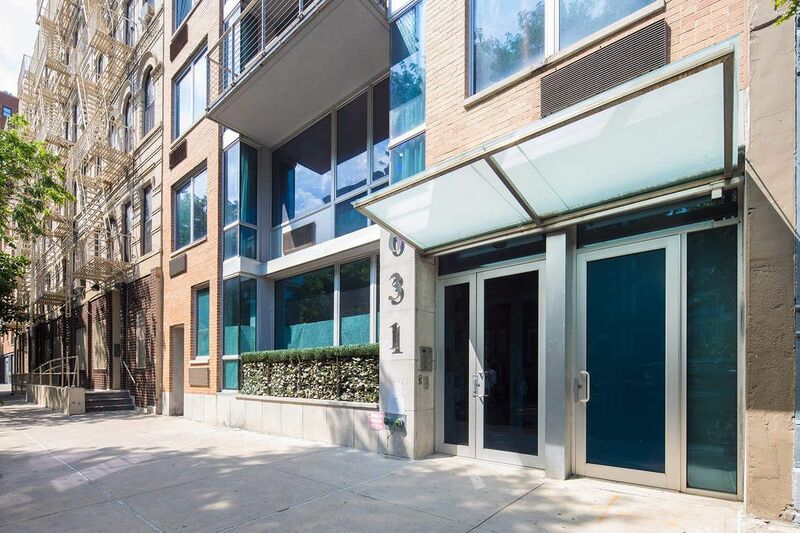 631 East 9th Street Apt 3B, New York, NY 10009 | Sotheby's International Realty, Inc.
$1,375,000 2 Bedrooms2 Full Baths951 sq. ft.
Back on the market after a new renovation! 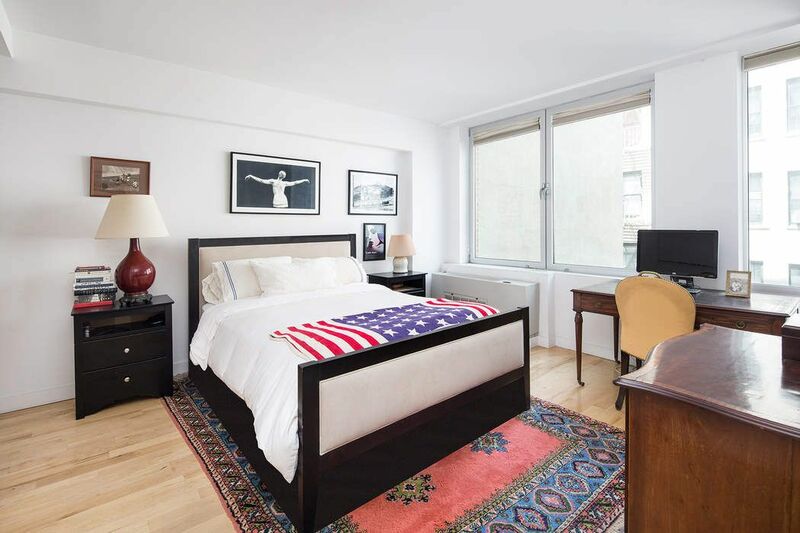 This recently constructed 2 bedroom, 2 bathroom condominium is located just a half block from Tompkins Square Park. Entered through a keyed elevator, this 951 square foot half-floor apartment is centered around an open living, kitchen and dining space which extends out onto a private balcony. The well-appointed kitchen is equipped with a suite of Miele appliances, including a vented range, dishwasher and ample prep space in an ergonomic layout. The large master bedroom has a windowed en-suite bathroom with a stall shower, convenient built-in storage, and radiant heat flooring underfoot. 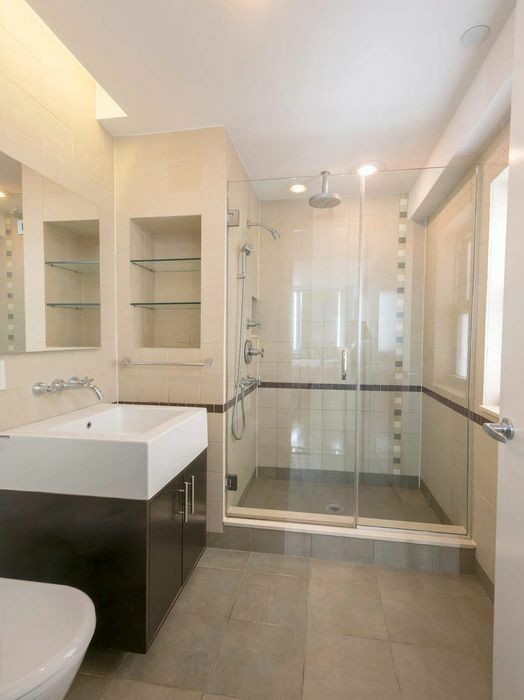 The apartment also has an in-unit washer/dryer, and its second windowed bathroom can also serve as a powder room. For additional organizational needs, there is a storage unit in the basement dedicated to apartment 3B. The Tompkins East Condominium is a 12-unit condominium, constructed in 2008 and designed by Arpad Baska. 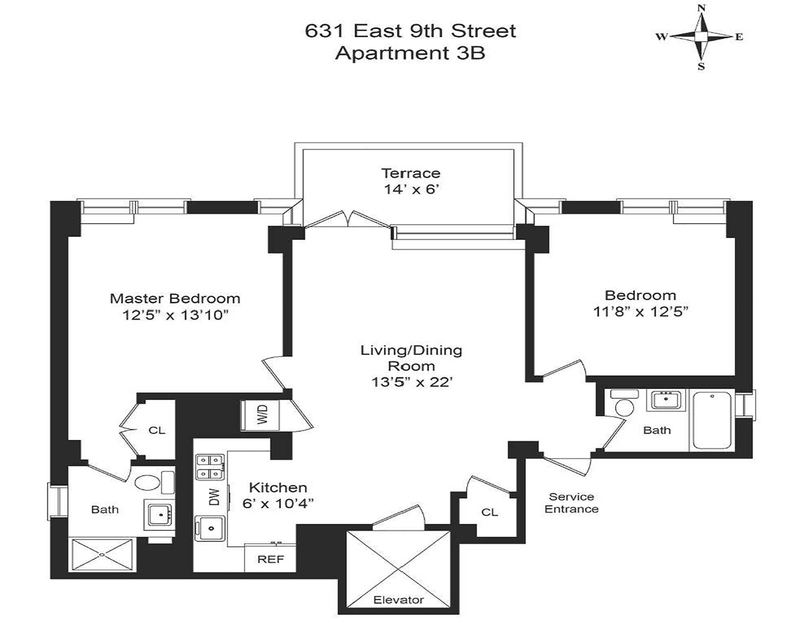 The building has an elevator, video intercom, a furnished common roof deck, though almost all apartments benefit from private outdoor space. With only two apartments per floor, each residence has an air of seclusion and privacy. 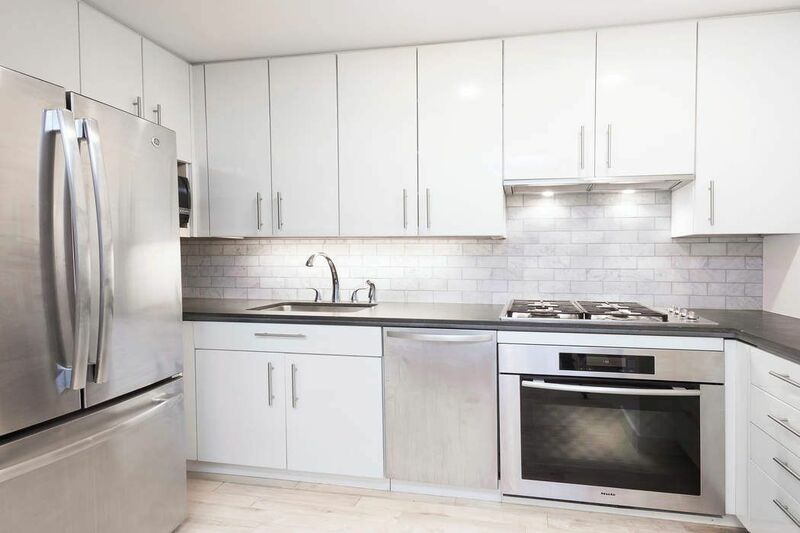 Residents at the Tompkins East Condominium enjoy a quiet Village block which terminates at Tompkins Square park, along with all the benefits of being embedded in the East Village, one of Manhattans most culturally vibrant neighborhoods. Back on the market after a new renovation! 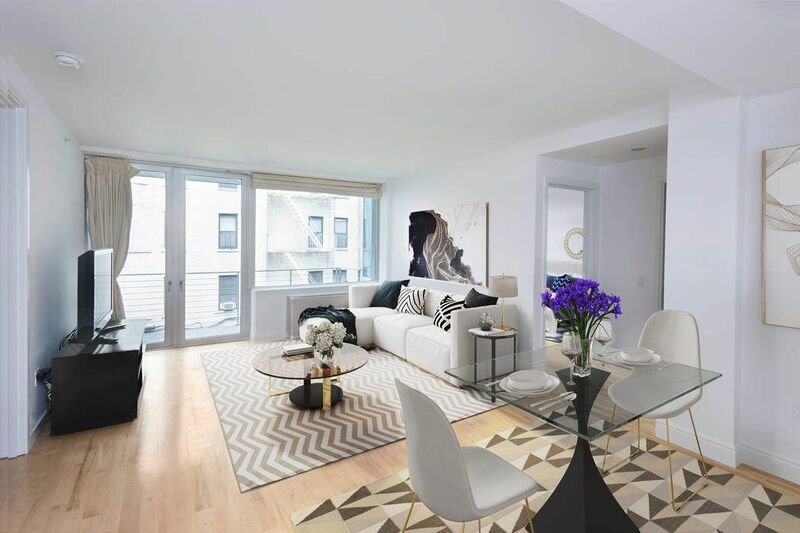 This recently constructed 2 bedroom, 2 bathroom condominium is located just a half block from Tompkins Square Park. 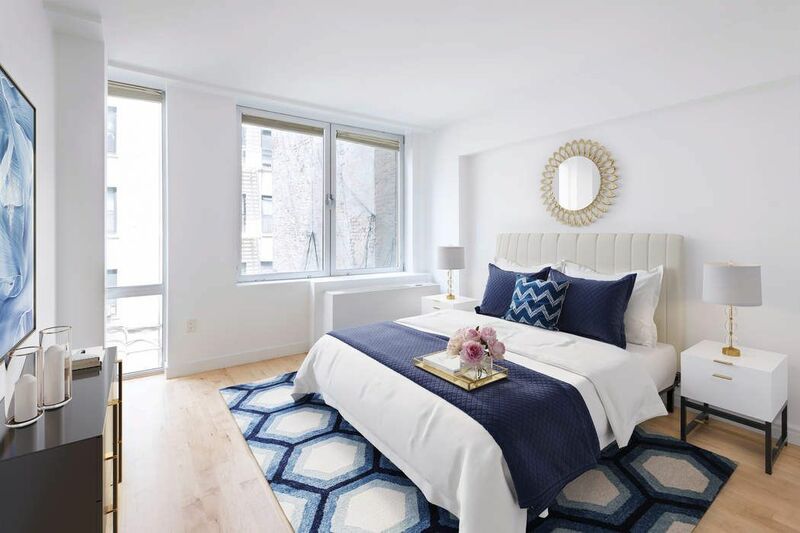 Entered through a keyed elevator, this 951 square foot half-floor apartment is centered around an open living, kitchen and dining space which extends out onto a private balcony. The well-appointed kitchen is equipped with a suite of Miele appliances, including a vented range, dishwasher and ample prep space in an ergonomic layout. The large master bedroom has a windowed en-suite bathroom with a stall shower, convenient built-in storage, and radiant heat flooring underfoot. 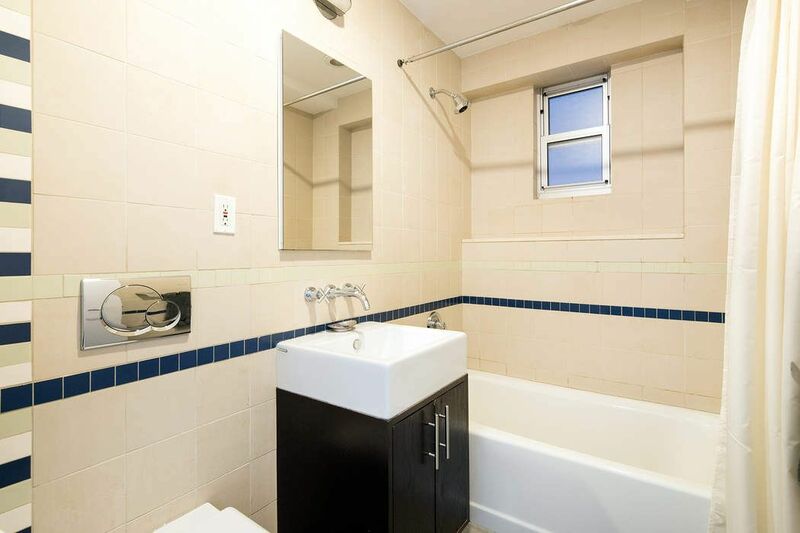 The apartment also has an in-unit washer/dryer, and its second windowed bathroom can also serve as a powder room. For additional organizational needs, there is a storage unit in the basement dedicated to apartment 3B. The Tompkins East Condominium is a 12-unit condominium, constructed in 2008 and designed by Arpad Baska. 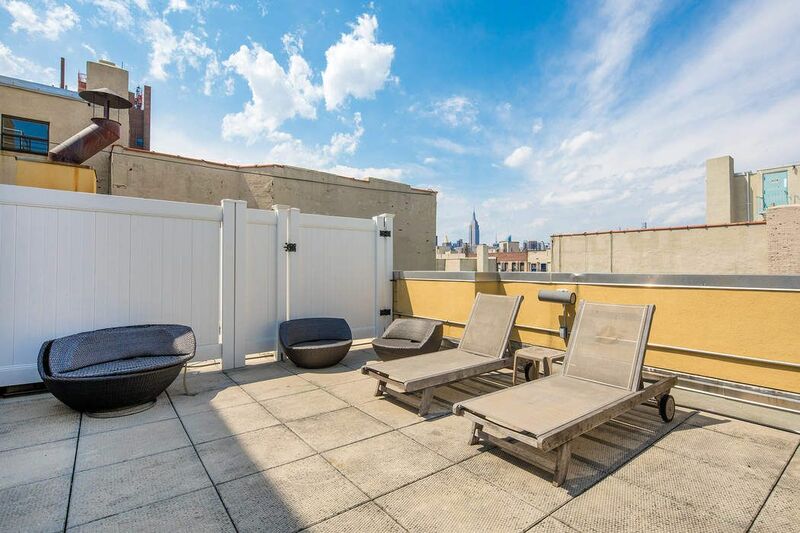 The building has an elevator, video intercom, a furnished common roof deck, though almost all apartments benefit from private outdoor space. With only two apartments per floor, each residence has an air of seclusion and privacy. 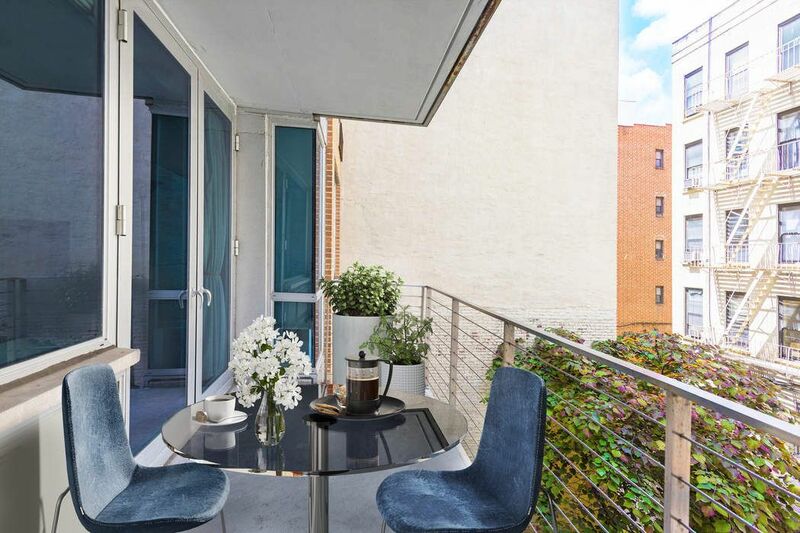 Residents at the Tompkins East Condominium enjoy a quiet Village block which terminates at Tompkins Square park, along with all the benefits of being embedded in the East Village, one of Manhattans most culturally vibrant neighborhoods.